Bullfighting is overly dangerous for participants and spectators. There is an upper limit on the amount of harm that the government should allow people to expose themselves to in the course of employment or leisure. severe injuries and sometimes even death. In various cases, spectators have been seriously injured during bullfights. Castells", a Catalan tradition that involves creating human towers, is also dangerous for participants (especially children, who go on top) and spectators, yet the UNESCO classified it as an Intangible Heritage of Humanity. 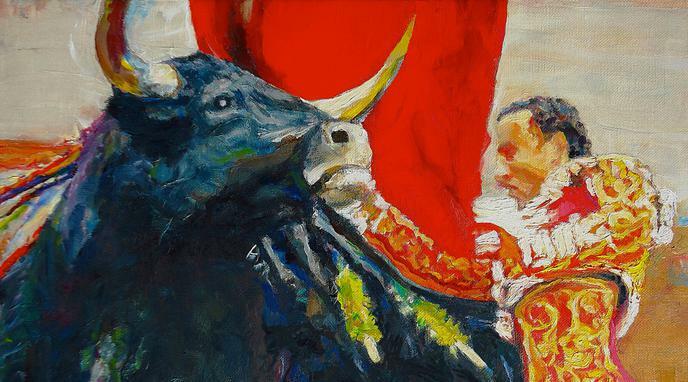 Injuries and deaths are not an integral part of bullfighting and its competitiveness, but unfortunate accidents, similar to injuries in any other sport. training and are well aware of the sport's dangers. Participation in and spectacting of bullfighting is not mandatory. If people want to risk life and limb doing something dangerous, fully informed, then a government has no special business stopping them from doing so.